Provide new hires with the knowledge needed to hit the floor running! It is an essential introduction for anybody setting foot in a contact center for the first time. After taking this course, your new hires will know the core operational functions of a contact center, understand the importance of schedule adherence, and will be able to interpret performance measures. Above all, they will understand how important their contribution is to the success of the business. The program Contact Center Basics is also included in the bundles Frontline Fundamentals and Full-Stack Agent Training. This course provides an essential introduction to the dynamic world of contact centers to people who are new to his world. Trainees will learn about contact center operations, typical staffing processes, aligned performance measures, and the importance of their role in the success of the business. Trainees are given an overview of common contact center departments and an understanding of the day-to-day activities in contact centers. Key performance indicators (KPIs) that are typical for contact centers and how agents can use these metrics to improve performance are explained. 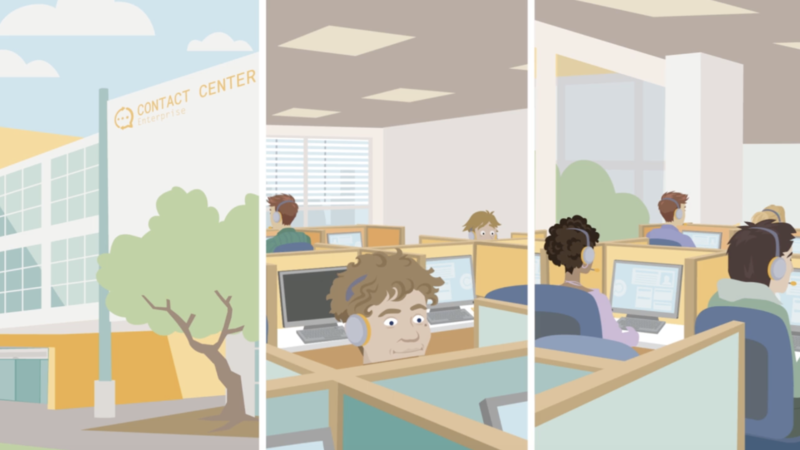 The differences between a contact center and a call center. The differences between in-house and outsourced contact centers. What different types of contact centers exist. The core services that contact centers provide. The functions of key departments within contact centers. The roles and responsibilities found within the operation department. The core technologies used within contact centers. The factors taken into consideration by workforce management when creating staffing schedules. Why shared objectives are important in contact centers. The key contact center metrics associated with performance. The purpose of performance appraisals. The benefits of having a documented professional development plan. We offer bulk discounts for orders containing 5 or more seats for a program or bundle. Check our pricing options for Contact Center Basics below. If you apply for bulk pricing, please contact us to place your order. The Contact Center Basics program is designed by call center experts to provide a practical and engaging learning experience. Start today.